Imagine being charged with a criminal offence and facing a six months in prison for simply having a few drinks at the pub with your partner. It might seem incomprehensible, but this is exactly what happened to a couple and their friend after they decided to have a couple of beers together. Library assistant Sally Louise Kuether, her partner Phillip Frederick Parmer and associate Ronald Anton Germain met up for a drink at Queensland’s Dayboro Hotel in December 2013, not even thinking that they might be committing a crime – but they were wrong. 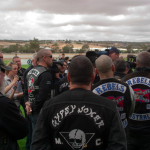 Parmer and Germain are members of the Life and Death motorcycle club, which is listed as a ‘declared organisation’ under the controversial Vicious Lawless Association Disestablishment Act (VLAD) introduced by the Newman government in 2013. All three were charged with ‘knowingly participating in a criminal gang in public’ and ‘remaining in a licensed premises while wearing declared prohibited items’ as they were wearing club colours and vests at the time. 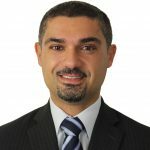 They each faced a mandatory penalty of 6 months in prison if found guilty – but in an embarrassing outcome for Queensland lawmakers, the ‘knowingly participate in a criminal gang’ charges were dismissed in court last week, with Parmer, Germain and Kuether only receiving a small fine for the ‘prohibited items’ offences. But while they escaped a term of imprisonment, the trio were held in custody by police following their arrest for varying lengths of time. Kuether and Germain were held for 6 days before being released on bail, while Parmer was held for two weeks. They then had to wait over a year for the matter to be finalised in court, which caused “severe stress and anxiety” to Mr Parmer. On top of this, Ms Kuether, who was diagnosed with multiple sclerosis 18 years ago, reportedly suffered a recurrence of her illness. She also said she was forced to use a different name whilst answering phone calls at work. Their experiences highlight the consequences for individuals when charges are laid against them, even if they are ultimately found not guilty. While the trio is celebrating the outcome, they have said that the incident underline the injustice of the VLAD Act. 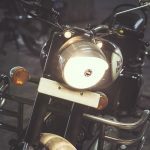 Several of our blogs have examined the draconian nature of ‘anti-bikie’ laws such the VLAD Act and the potentially absurd outcomes of their indiscriminate application. 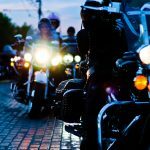 The laws were passed with the intention of curbing criminal activity that was attributed to conflicts between rival motorcycle clubs following a set of highly-publicised brawls. 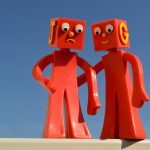 To deny to persons who commit serious offences the assistance and support gained from association with other persons who participate in the affairs of the associations. But a spate of trivial cases suggests that, as predicted, police are irresponsibly taking full advantage of the laws to prosecute individuals for purposes not intended by the legislation, and in doing so making a mockery of the law. In another case, five men were charged with offences under the VLAD Act after meeting at the Yandina Hotel in Queensland in late 2013. The five men were allegedly members of the Rebels motorcycle club, which is also a declared organisation under Queensland law. Two of the men are believed to be brothers. The VLAD Act prohibits meetings between three or more members of a criminal gang in a public place. And in the wake of Kuether, Parmer and Germain’s ordeal, it appears that this is indeed the case. 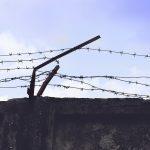 Following the outcome of their case, Kuether, Parmer and Germain called on Queensland’s new Attorney-General, Yvette D’ath to consider repealing the VLAD Act. The Attorney General has also promised to consult with stakeholders as to the ambit of the legislation so that it serves its intended purpose of fighting organised crime, rather than targeting innocent people. The review is set to take place in December of this year, and it will be complemented by an inquiry into organised crime.